Are your children fans of The Lion King? T is, he absolutely loves all of the films and now is really loving The Lion Guard TV show on the Disney channel. 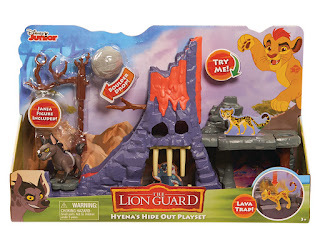 I decided to set up the Hyena's Hide Out playset on the tuff spot for added fun, we also introduced some existing Lion Guard toys we previously reviewed, T had lots of fun playing with the characters and adding his characters into the set. 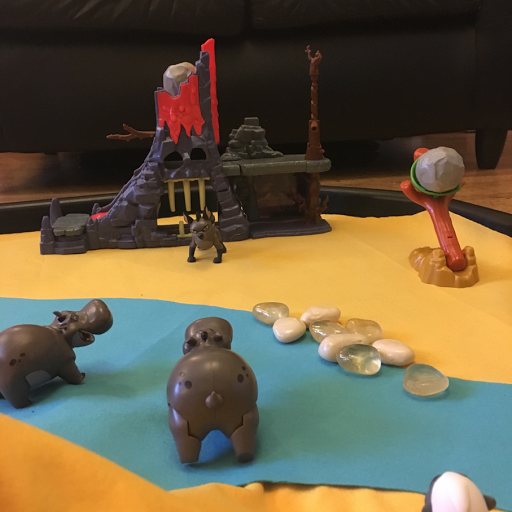 I love setting up little 'Small worlds' for T to play with, and although he doesn't have them too often now, he really does enjoy them when he does. In this video he demonstrates the features. 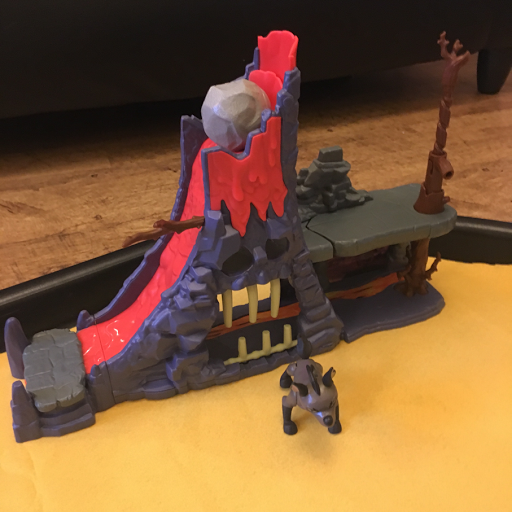 Small worlds are great for imaginative play and for children to remember what they have seen in the cartoons and re-create them or of course changing the ending if they prefer! They are also fantastic for fine motor skills. 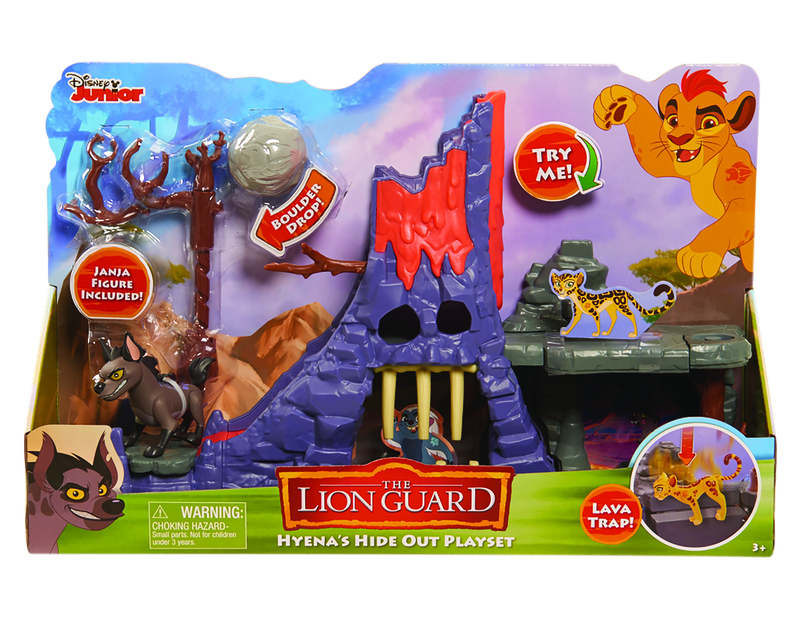 There are hours of fun to be had with recreating Lion Guard scenes from the show with this playset! Pull down on a branch to close the bone jaw jail! Pull down on another branch to launch the destructive boulder and keep enemies at bay. When the boulder collides with the tree, the tree breaks apart on impact. If the boulder rolls in the other direction the teetering rock bridge will collapse! 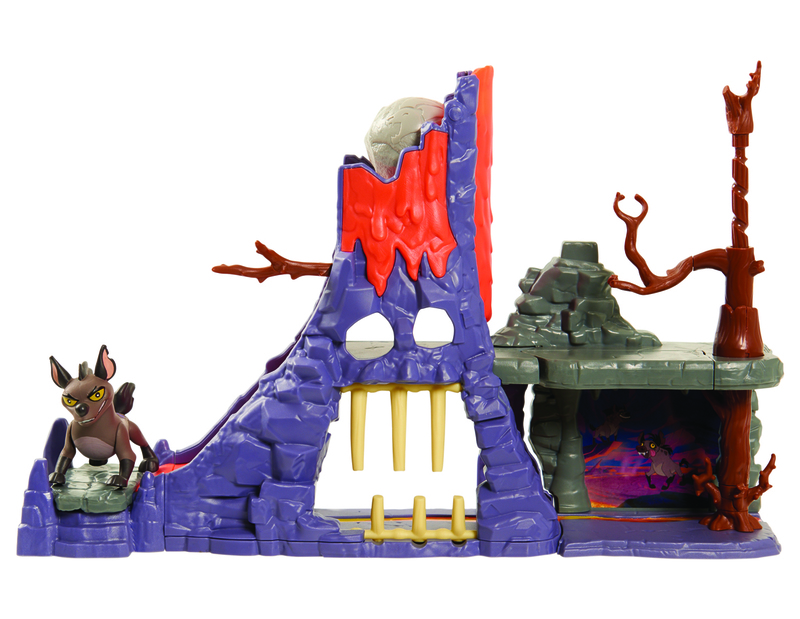 Disclaimer: we were provided this toy in return for our honest review. All opinions are our own.